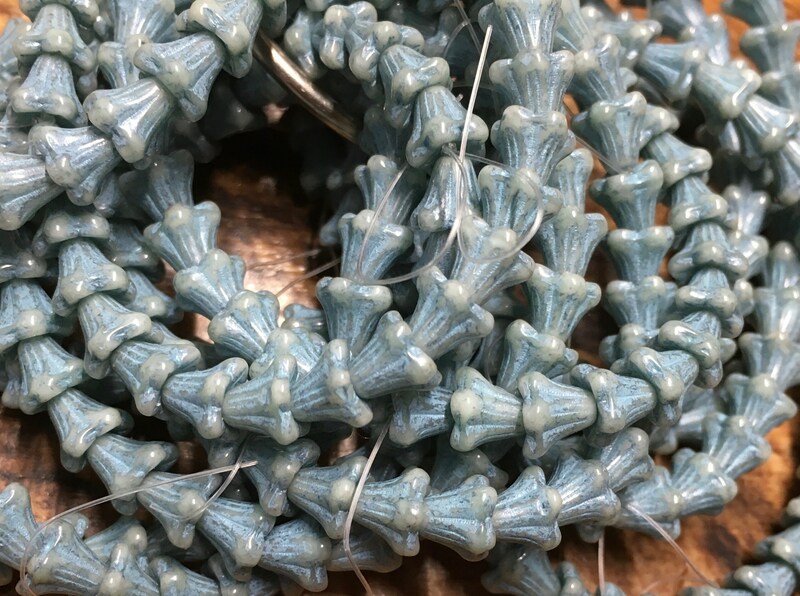 Slate blue with a turquoise wash, Czech pressed glass bell flower beads measuring 5mm x 6mm. These unique five petal flowers would make great additions to your jewelry creations! 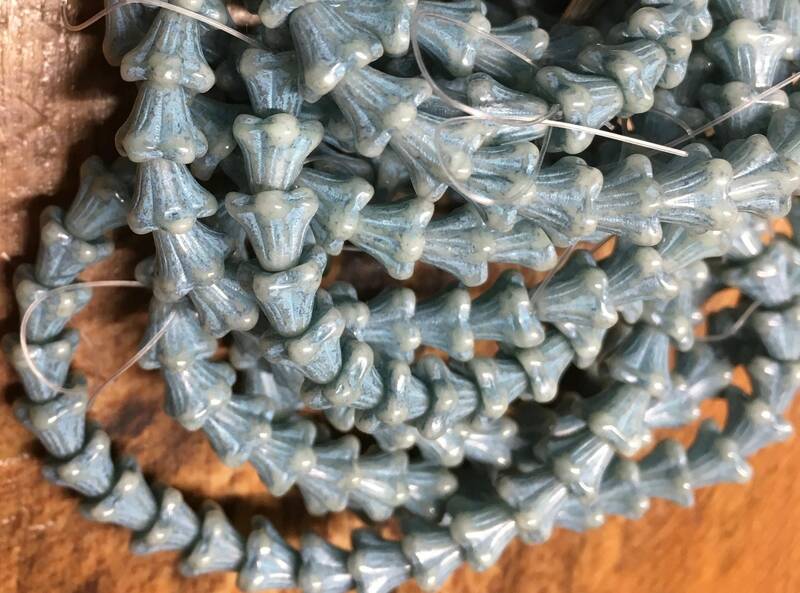 30 beads per strand.